I have never been so excited to receive a beauty box! Glossybox do some wonderful collaboration boxes and this one is no exception. They've teamed up with world renowned makeup artist and author of 'Eat Beautiful' Wendy Rowe on this special winter edition. Wendy's chosen the products she thinks are essential for beautifully glowing skin at this time of year, when our complexions might need some extra tlc. She's a makeup artist after my own heart, recognising that skincare is just as important as makeup when it comes to looking your best. The value of the box is apparently £138 so is quite a snip at £35 for subscribers and £40 for non subscribers. A beautiful, lightweight, shimmer free complexion enhancer. I adore this product, (reminds me of the Becca skin perfector), a lovely texture, can be used as a base or as I prefer, mix with a liquid foundation for a beautifully dewy finish. Great value for 30ml too. Will definitely be a staple in my make up bag. 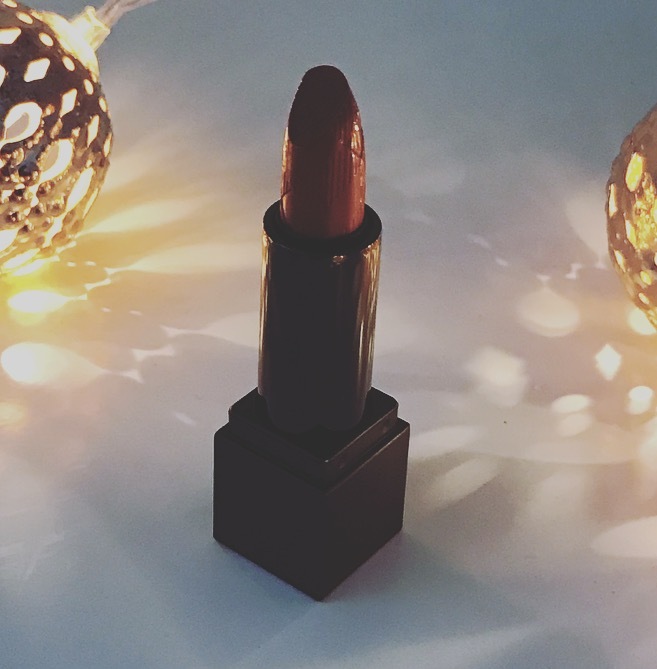 A classic pillar box red lipstick that suits all skin tones. A matte texture but not too drying, this diddy size is great for slipping in your handbag on a night out for touch ups. 'This mask is a lifesaver post flight! Ideally you should use once a week to brighten and hydrate the skin'. I am a big fan of SC Skinesis range. These invisible stickers are to spots what kryptonite is to Superman! Containing active ingredients salicylic acid and vitamin C to soothe and shrink unsightly pimples, pop on directly overnight, or every 4 hours to significantly reduce the appearance of angry spots. Great for those 'time of the month' hormonal beasts us girls get sometimes, I tried this last night on a lovely creature that appeared on my chin and by the morning it had definitely calmed and reduced in appearance. Magic! A tightening and lifting mask, I'm yet to use it, Wendy recommends using before a big night out to give a quick skin fix, I'll be using this over the festive season. Not a brand I'm aware of so keen to see if this delivers - will do an update when I do. 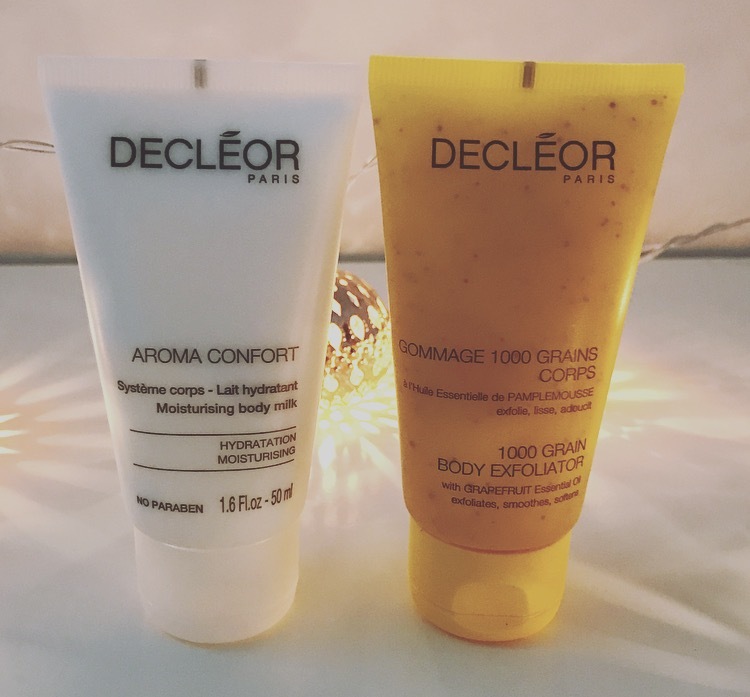 A beautifully scented oil to milk body scrub from Decléor, enriched with grapefruit essence oil, pearl sugar and those super skin renewing fruit acids. A lovely treat for you or gift for a friend. A great step after exfoliating, absorbs nicely and smells divine. Like a facial in your bathroom. Massage into cleansed skin for a glowing complexion. A slightly thicker oil than I'm used to so I'm saving for this for when I feel my skin needs a moisture injection. A multitasking hair moisturiser by Neil Moodie, infused with monoi oil and sugar beet, this is a product I was totally unfamiliar with. I always use hair oil but had never tried a cream to help smooth and shine my locks. Run a small amount through dry ends and mid lengths, a bit like a leave in conditioner this will tame fly aways and leave a healthy sheen. Great size at 60ml too. A tie with the Burberry luminous fluid for my top pick of the box, this facial oil is truly luxurious and gives great results. 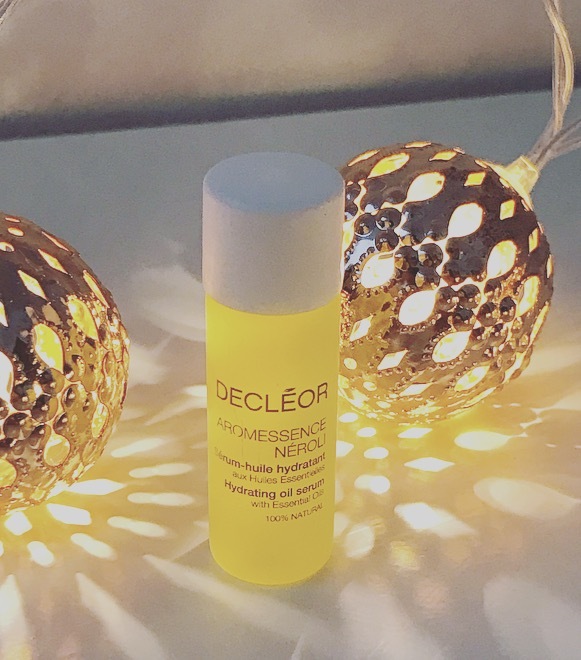 Massage into cleansed skin, this leaves your skin feeling nourished and glowing, the oil absorbs really well, one of my favourite oils so far. It smells absolutely divine. Wendy says this is a supermodel favourite and I can see why. A bit sad that it came in a weeny 2.5ml sample but hoping a little goes a long way! All in all I love this box, some absolute corkers in here. High-end, luxury products, mostly good sizes, it's definitely good value for money. The only thing I would have personally loved to see in the box was an exfoliant recommendation from Wendy, I'm a massive believer in exfoliation being key to glowing skin so would have loved to know her top pick.